To suggest that I have a problem hiding amongst the crowd in Africa would be an understatement. In India, with a little dirt under my nails and hand washed, sun dried clothes, I can at least pass as a hippie tourist. People assume I have been there a while and that in place of a bulging money belt I probably only have a crumpled 500 rupees in my pocket. Rwanda and Tanzania have provided me no such luxury. The extended conversations that eventually turned into a selling opportunity in Senegal have given way to a more blunt, “Hello. Faranga!” (or “Hello. Money!”); of which I was never sure if the structure was one sentence or two. As I left for this trip I made myself a promise to remain open and never cynical. Trying to balance being both a curiosity and a commodity has made this promise ever more important. I have lost count of the number of children to come running after me, yelling “mzungu!” (‘foreigner!”) as I walk by their home. Some just want to wave from afar. Some shake your hand and ask for money. Some have held me in an embrace so tight I didn’t think I would be able to peel them off. And some have simply walked up, grabbed my hand, and proceeded to walk blocks with me, even though we only shared a half dozen words in common. These interactions seem to happen daily and are completely unavoidable as long as my skin remains the color it is. So long as “western” equals money it also equals opportunity. Every time a person walks up to me and asks flat out for money, I remember each person that has sat and talked with me, and then walked away, having wanted nothing but a little of my time. Sometimes words just can’t cut it. That is how I felt when I started learning about the Rwanda genocide. Below are some of the commonly accepted statistics, but for a more human perspective see the following slideshow. 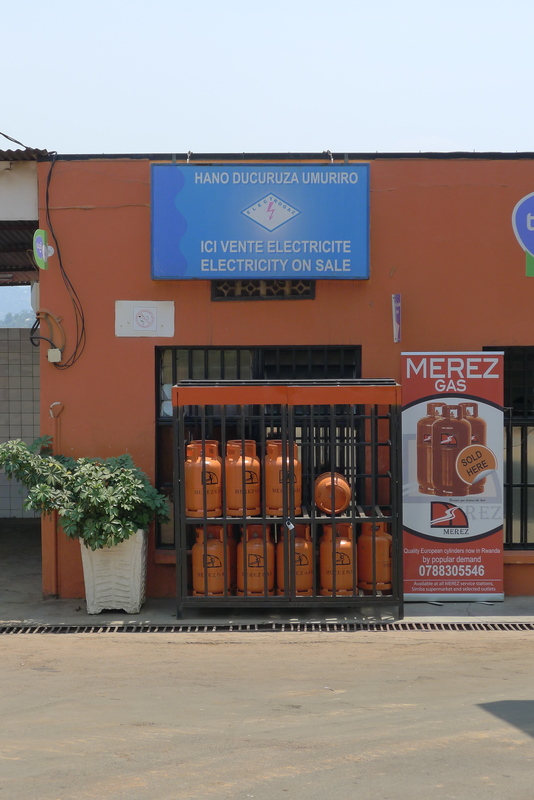 Rwanda is by far the most Christian place that I have ever been – more than Italy, more that the southern United States. Any given day of the week you will hear singing in the churches, the doors will be open, and life will be unfolding amongst the wooden pews. Sundays have this festive air as women in floor length prom dresses and men in suits fill the sidewalks on their way to or from their church. People here seem to live for the Church. 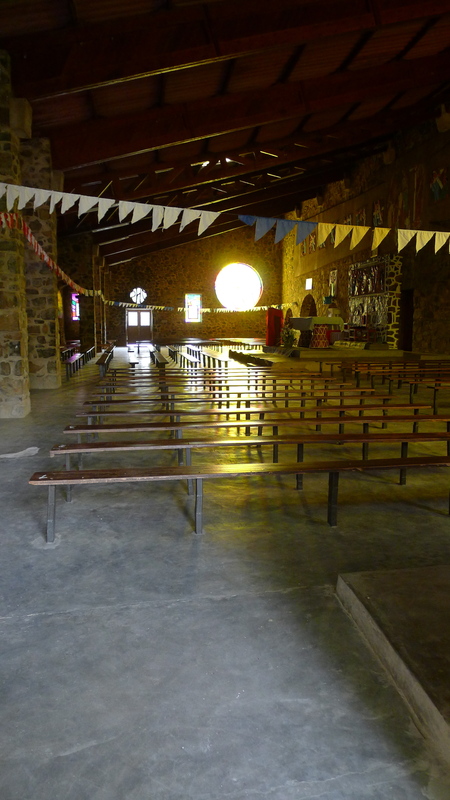 A look inside the Genocide Memorial Church in Kibuye. selves own the churches. At home I always experienced the Church as a place to be talked at, a place to have dogma imposed upon me. Here it is as if the people themselves have built the walls, created the space and shaped the religion into an expression of themselves. And it makes sense. After living through so much terror, fear, and pain, any human being would be reaching out for something to give some structure and sense back to life. And once they find it, they would want to own it and make into something better than themselves. All this makes me think that not having a religion (I was baptized and raised Roman Catholic but really can’t bring myself to follow any religion these days) might just be a privilege that many of us take for granted. If we don’t suffer, if we don’t look death in the face and walk away, why would we need to ask for help? Why would we need to fall back on our faith in something better? If our life isn’t hard, why do even need to bother worrying about an afterlife? The next time I am in a place where we are all asked to join hands to pray, instead of standing quietly to the side, I think I’ll join in and thank life for the privilege of never having to pray.